Zinedine Zidane has hinted at a potential summer move for Paul Pogba. The Manchester United superstar recently got the rumour mill spinning again, as he admitted that he dreams of securing a switch to Real Madrid. Multiple sources have since indicated that the Galacticos will try their luck at securing the 2018 World Cup winner’s services come summer. And now, Zinedine Zidane’s recent comments have further strengthened those claims. 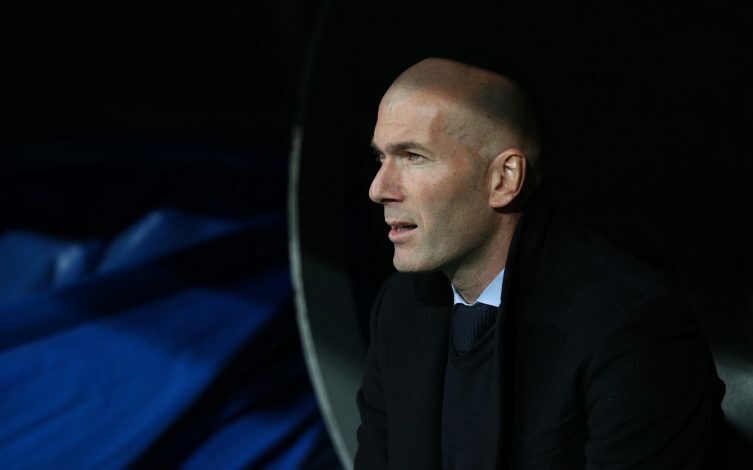 Zidane recently secured a sensational return to the Santiago Bernabeu outfit, and the legendary Frenchman is expected to make heavy use of the upcoming summer transfer window to restore the club to the top of Europe. Real Madrid will undoubtedly contend for the services of world-class superstars in the transfer market, and Zidane has indirectly indicated that Paul Pogba could very well be one of them. During his pre-match press conference on Saturday, Los Blancos’ gaffer stated (via Metro): “I like Pogba a lot and it’s not new. I know him personally. “He is different, he contributes that few can do, for his qualities. He knows how to attack and defend. But he is not my player and he is a player who is in Manchester United, and you have to respect him.